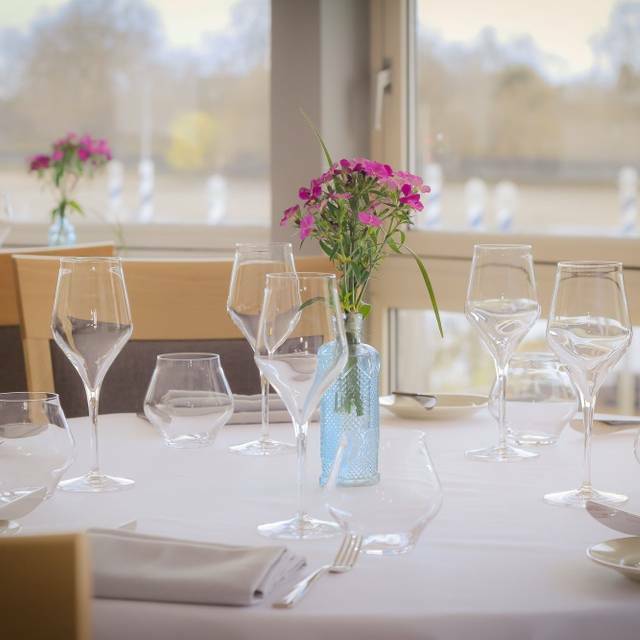 Indulge yourself with our British seasonal menu especially designed by our award-winning chef Anthony Cumberbatch, offering you an unforgettable fine dining experience with idyllic scenic setting. 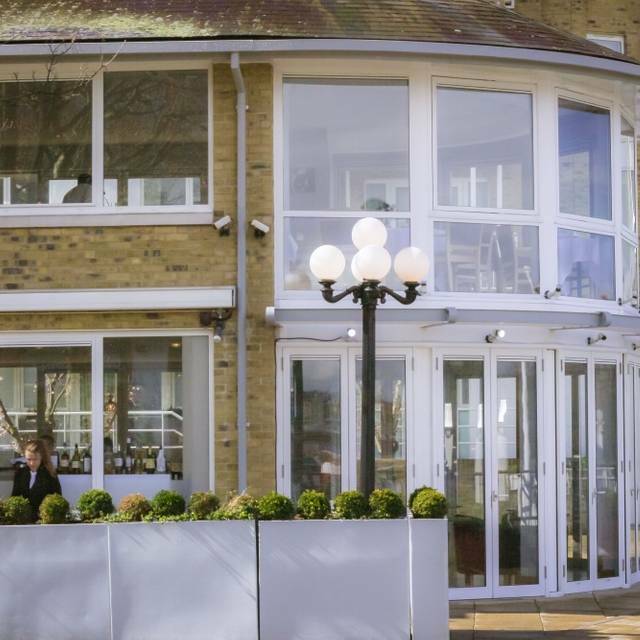 Situated on the banks of the River Thames, at the foot of the Wandsworth Riverside Quarter jetty, View 94 boasts stunning panoramic views along the river stretching from Putney Bridge in the west to Wandsworth Bridge in the east. Diners can sail in from central London on the Thames Clipper disembarking from the jetty, just a few paces from the restaurant. Extraordinary to find such a wonderful place empty. We wanted a quiet lunch spot with a good view and decent food and it was all of that, plus charming service. Strongly recommended. Sadly, our experience was not very good as much as I wanted it to be. I booked a table for 4 for a friends birthday. When we arrived they didn’t have a table for us even though they knew of the reservation so we waited while they set that up. They took so long to serve us that we had to go to the bar to order and then were told that someone will come to us, so waited once more. We were also so disappointed by the menu which was only bar snacks as they had run out of everything else on the menu! Overall would not go again sadly as we were so excited about trying this restaurant. Restaurant is not open during lunchtime which is extremely annoying, as it’s not specified anywhere. Not even the waitress was able to tell us when the restaurant is actually open. 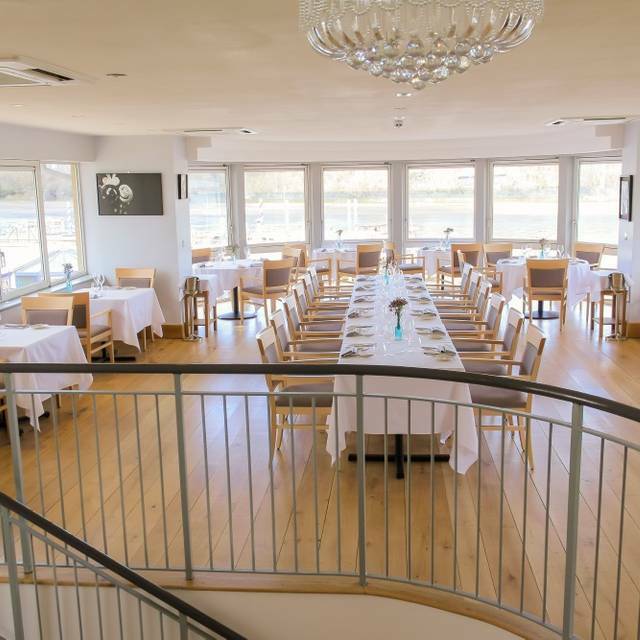 Lovely setting by the river and excellent service - food was superb! Absolute find off the beaten track. The chef has created a splendid menu with really top notch Michelin type food. Sadly the service is weak and the wine menu is almost non existent (everything we tried to order was unavailable and there were only six bottles on the list to start with!). 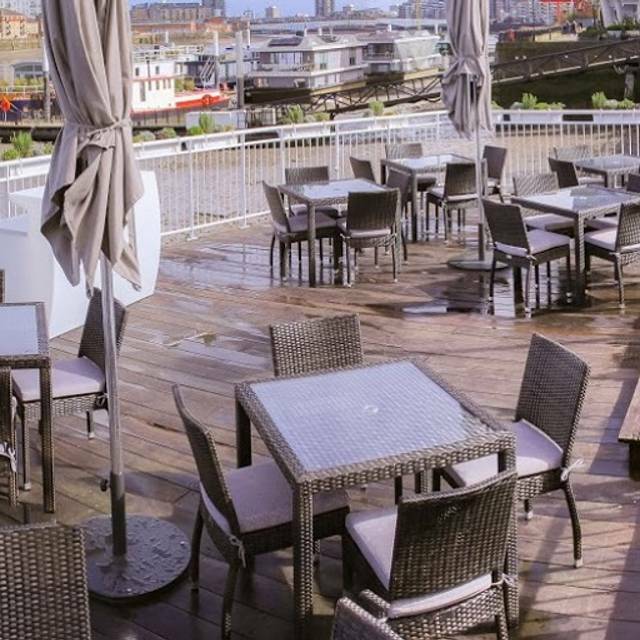 The views overlooking the river also make for a wonderful spot for summer pre dinner drinks. It was a sunny evening, so it was quite busy, especially outside. Yet there was only one member of staff to serve everyone. She was friendly but didn't know what she was doing. We had to wait very long for everything. Food didn't arrive at the same time. When she gave us our menus, she also handed us the set menu lunch menu, I asked if we could still order from that because it was after seven, she said it was all fine so we ordered from the set menu (normally we don't order a starter, but we assumed the portions would be smaller because the price was considerably less than the same dishes on the normal a la carte menu). Even though the main was supposed to come with a side, we forgot to order and we were never told to pick one. Once the food finally arrived (two dishes were exactly the same, but one came about 5-7 min later than the other) we couldn't bother asking for our sides because it would probably take another hour. We also decided not to order coffee or dessert because of the long wait. In the end my mum went inside to pay because no one seemed to be serving us anymore. When she showed me the receipt when we got home I was shocked to see that we were charged full price for every dish and not the set menu prices. We had very small portions and no sides. At this point I couldn't be bothered to go back or contact them about it, also because we felt bad for the waitress who had to everything on her own and was friendly. The location is great, but it's overpriced and bad service. I wouldn't go back unless this changes. I don’t usually write reviews but this place needs to improve the service in general. We got wrong menus in the first place - we received a set menu which we later were told is only available when booked via groupon. So instead of honouring what they offered in the first place, they told us to choose again from a la cart menu. We were never offered a wine list. We had to ask for it. They forgot about our side dishes. One of the waitresses dropped the cutlery on the floor, picked it up and offered it to my friend. You should remember that sometimes customers can notice what’s going on. The service was appalling and I can’t remember when was the last time I was served so badly. The food was good but the general feeling was we weren’t welcome there. The staff was untrained and lacked basic skills. I would never go back here and I’d never recommend it to any of my friends who live in vicinity. Service was absolutely awful. Had to ask three different servers for our afternoon tea. There was 4 of us so when the tea came we only had two cups and no milk, half an hour later the food came. We were still waiting for cups. Tea was then cold so we asked for more to have with the food and they charged us! Food was dry and the place was deserted considering it was Father’s Day. Only good thing was the location. The food, location by the river and the staff were all wonderful. Would definitely recommend it! This is the second time I've been here, and I found the view sublime, and menu delicious. It's a sophisticated menu, and the view from the restaurant is right over the river, so quite unique. The service staff may need a bit of training , but they are friendly and helpful. Overall, a great dining experience. I had read mixed reviews of this place so l was unpleasantly surprised. It was a Groupon deal tasty food. Only complaint was the chips came hallf way through the meal. Awful service - wait staff very abrupt and unfriendly. Food was bland and cold. First of all the Food Menu was totally different what we saw online.Even the kind staff was confused that what is on the Menu.I wanted steak but was unavailable. So only choice was chicken burger with chips, which was a joke. It was a chicken breast ,tomatoes and lettuce with white toasted bread on the top????? It was way to pricy and the worse food we ever had. Our date night was ruined. The restaurant has a good location and friendly staff. The food was generally good and the waiter gave an excellent wine recommendation. However, the order placed was not properly understood and the table not as clean and kept tidy as one would expect and hope for. There were some embarrassing miscues with the food. My wife's potato rosti was raw in the middle. But the place is very pleasant, and our server Kate was very charming. Do not go! Disgusting. We were greeted by a waitress who said we couldn’t go upstairs as 2 people had rung in with hangovers and so upstairs was closed. We ordered the vegetarian lasagne which was cold and were told that calamari was off the menu but the whitebait was on. We also ordered a Greek salad which was forgotten about and then brought to us with shredded lettuce smothered in mayonnaise and 2 cut up tomatoes. No sign of any feta. Just 2 blobs of soft French cheese on the corner of the plate. I realised afterwards that we were supposed to be getting the bottomless prosecco which was not offered at all. We never complain but this was the worst dining experience I have ever had. We weren’t given a discount - I should have pushed further on that. We were just told that it was due to a change of menu as to why everything was so awful. I don’t think our waitress had ever worked as a waitress before. The service and food were shocking. Food was delicious and more than reasonably priced. Probably the best pancake I think i've ever had. Service very good, although specifically booked upstairs dining for the view and was told was unavailable on arrival. There was no atmosphere, very quiet and could have done with some relaxed background music so you didn't feel like everyone was listening to your conversation. Food was average, lacked presentation on the plate but was cooked well. Get what you pay for, so was reasonably priced. This place could be something really special if they sharpened up on the finer details. As this place is a stones throw from my front door, I will definitely return for relaxed brunching. You can see why the restaurant is called View94! 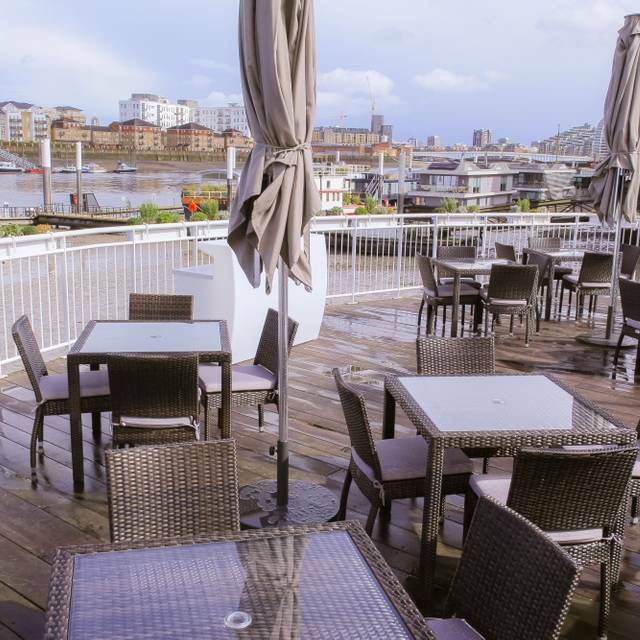 The restaurant is located in between Putney and Wandsworth and right on the river. 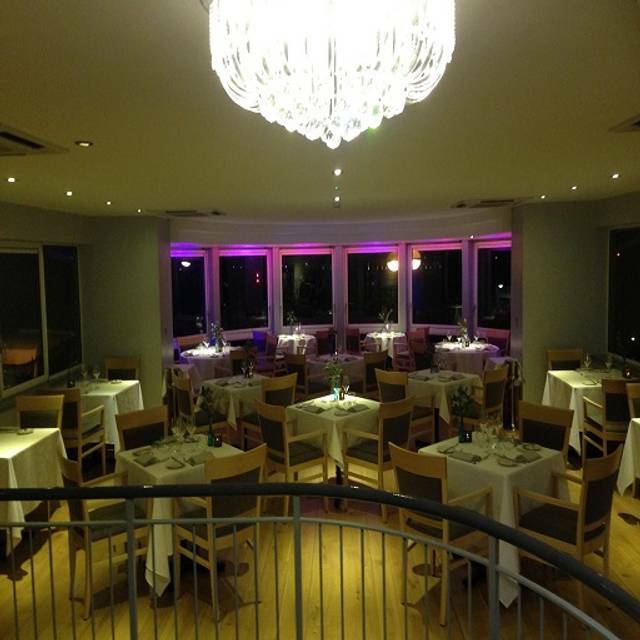 The restaurant is glass panelled almost all the way around, so you have beautiful view of the ! I went for dinner with a few of my girlfriends and we were greeted by our lovely waiter, Zac. Boy, was I impressed by the food! We had the Burrata and grilled butternut squash to start; the greek salad; and the beetroot and goats cheese. Just delicious. Favourite was the burrata! For mains I had the spatchcock chicken with truffle spinach and grilled mixed vegetables. Again, I couldn't fault. Friends had the Salmon fillet with pistacio crust on a bed of broccoli and pea puree. Desert was naughty- we shared the chocolate fondant (this was my favourite! ), the lemon tart and the frozon yoghurt. If you want the melt in the middle chocolate pudding, cooked to perfection- the chocolate fondant is THE ONE. All in all, I would recommend going! Nice staff, lovely views and, have I already mentioned the food?! Restaurant has a beautiful view but it is in a difficult place to get to - we walked through the park at 11pm at night in the pitch black to get to Putney. The food was nice and menu had some great choices. The wine was also good. We sat upstairs and it was really cold and the music wasn’t quite right for the atmosphere. All in all we enjoyed our dinner at View 94 and would recommend it to friends. I made a booking using open table for my girlfriend's birthday. I received a confirmation that my booming was confirmed. It came to the night of the meal and when arriving at the restaurant I was greeted by a waiter and after telling him that we had a table for 2 his reply was 'oh dear' and then he disappeared to find a manager. About 5 minutes later a flustered manager appeared and explained that he thought he blocked all bookings off for the evening as there was a private party and offered very little in a way of apology. He said he would email me to try to arrange another date for the booking and turned us away. Needless to say the email never arrived... I'm sure the restaurant is very nice, however if they can't get the basics of managing thier bookings then I'm pretty sure the organisation of the rest of the business isn't up to par. I wouldn't use this restaurant for a special occasion as it seems like gamble as to whether you will actually get to eat there and there isn't much else in the area as far as nice restaurants go. We have eaten at view 94 many times. Our favourite restaurant in Wandsworth. The food is amazing, the staff are very friendly and the views spectacular. 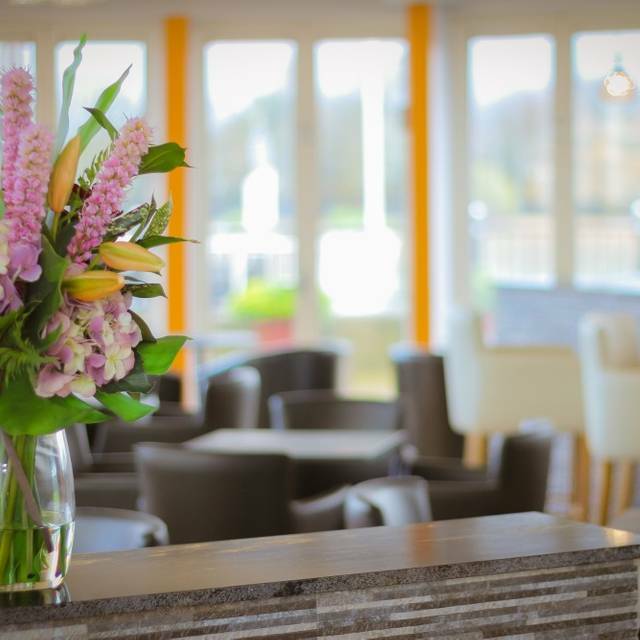 We have eaten from the a la carte menu, tasting menu and had the paired tasting menu in the evenings and had brunch, tea/coffee and cake in the afternoon every time the food has been spot on and we have had a lovely time. An enjoyable evening meal, food and service worth very good. If I were to change anything I would reduce the internal lighting in the evenings so that one could appreciate the river views more. Lovely view over the river. Good service. I had the goats cheese for starter which was so-so but the rabbit for main was delicious and they have a fantastic selection of cheese. I was there on a Saturday night and there were only 3 other tables which meant the atmosphere wasn't great. I suspect the 'fine dining' menu and white table clothes isn't what the area is looking for. A slightly more smart/casual atmosphere might attract more clients. Positives - lovely view, friendly owner, nice tablecloths, cutlery and glassware. Negatives, strangely nervous wait staff.Fancy sounding but, actually, quite bland food (served on a variety of novelty plates). This restaurant tries to be upscale but sadly fails. Non-existent ambience, partly because it was empty (8pm on a Friday evening) and partly because the restaurant itself is like a new build house with no character. The chef / owner came out to see everyone and I wanted it to be great because he seems like a lovely guy trying hard - but, sadly, it just isn't. The menu choice was varied and interesting, we all had different meals and every dish was good. I requested a table by t he window and the view was lovely over the Thames and back into the city of London. As it was a Monday evening there were only 3 parties of diners but the service was excellent. I would definitely go to this restaurant again and would recommend it to friends and family. Over the past few years many restaurateurs have tried to make this location work. All have failed. The latest venture have invested time and effort in both the décor, lay-out and food offering, and following our Saturday night dinner we hope they succeed. 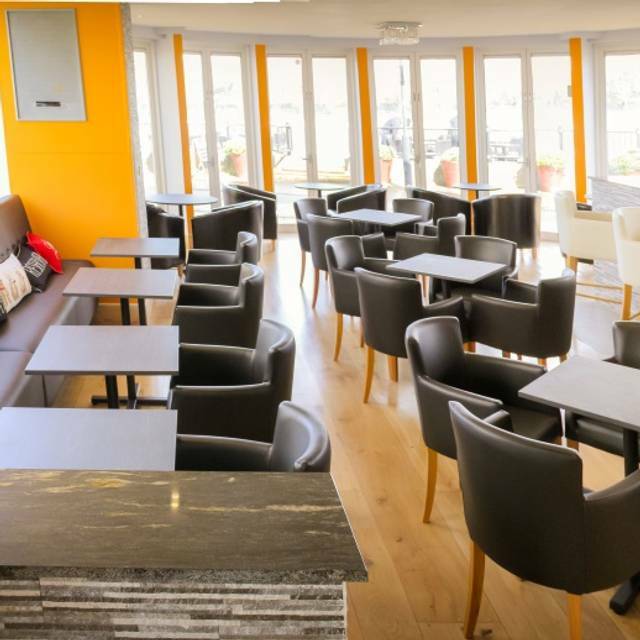 The upstairs restaurant has wonderful views, large tables widely spaced and good air-con. The menu is inventive and wonderfully presented. For a date night or special occasion it is a lovely choice. Wonderful evening - anniversary meal, amazing view over the river. The food was outstanding, really top class. Good choice of wines. Will be returning. We visited the newly opened View94 for dinner and had a lovely evening. The building itself is great, modern with a perfect view over the river. We started with drinks in the downstairs bar, which were nice and value for money. We noticed there is loads of outside seating that will be amazing in summer time! We then went upstairs for dinner, which was fantastic. The staff were so lovely, helpful and friendly, especially Cristian. The food was so so delicious - I cannot emphasise how good my scallops followed by beef sirloin was, really first class. My husband had pork with lentils followed by goat; equally delicious. He also had the cheese for dessert, which he thoroughly enjoyed. Overall the meal was perfect - well cooked and brilliantly tasty, really good value for money, served by lovely attentive staff; a new favourite. We will be back soon!! We decided to try this new riverside restaurant, and felt welcome from the moment we walked through the door. There is a bar serving less formal dishes downstairs, but we were upstairs in the restaurant, which has scenic views over the river. We were warmly greeted by the restaurant manager and found the staff to be friendly and experienced. 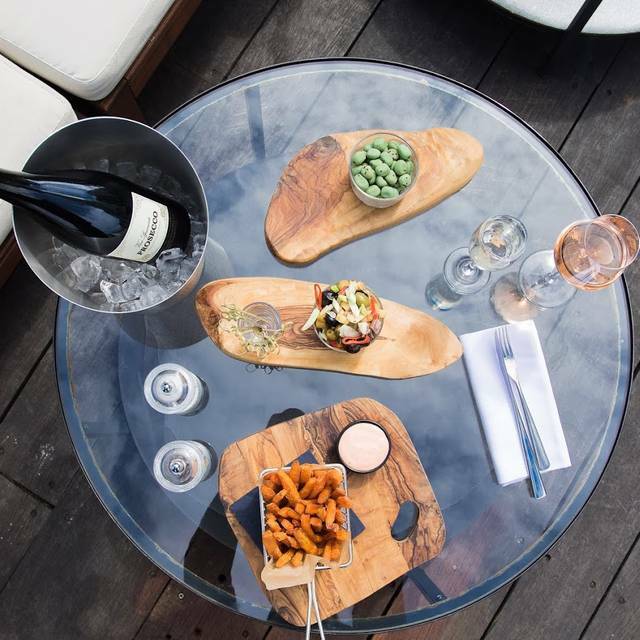 The menu has plenty to choose from including fish, meat and veggie options - and the dishes are original and beautifully presented, but not overly fussy. Best of all, the food is fantastic. We enjoyed scallops, beef tartare in a crispy parmesan case, wild boar ravioli and delicious halibut with a lemon grass tea sauce, plus a wicked hazelnut dessert with Nutella ice cream. Everything was fresh and up to our exacting standards. We were so impressed, we went back with some friends to munch our way through more of the menu. That was when we discovered the amazing cheese board. And the chef came out to say hello after our meal, which was a lovely touch. He is very talented - and View 94 will probably become very popular, especially in the summer when you can sit outside by the river.